The platform at smclightandpower.com.au has been designed specifically to serve a growing audience Down Under. 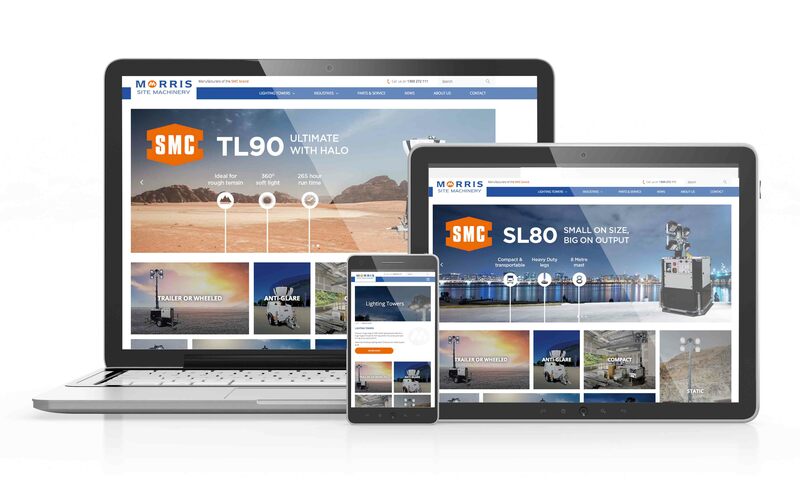 It will provide accessible information on its extensive SMC range and refer interest directly to Access Service Australia, its key sales, service and aftersales partner. Morris Site Machinery has been lighting up Australia for 15 years, developing and supplying lighting solutions to meet the demanding rigours of its terrain and temperatures, its health and safety requirements and the needs of sectors including hire, construction, mining and rail. In the last 12 months Morris Site Machinery have been delighted to supply key Australian Hire customers with lighting towers including the latest SMC Ultimate light tower with run times close to 300 hours, Extra Low Voltage Models, revolutionary anti-glare HALO soft light LEDs and just last month SMC Solar/Battery Lighting Towers with 500 hours runtime achievable from the batteries alone. International Business Director Phil Winnington said: “The new website for Australia was a logical step because it is such an important and growing market for us. We understand its needs and have built strong ties over the years by developing innovative, robust and reliable equipment. Phil, who visits Australia several times a year, has recently returned from a trip to build on his relationship with contacts at Access Service Australia in Melbourne, Sydney and Brisbane and gain greater insight into local market sectors. The site details lighting towers across Ultimate, Standard and Eco ranges, offering customers low voltage, fuel efficient, economical and environmentally-friendly solutions.